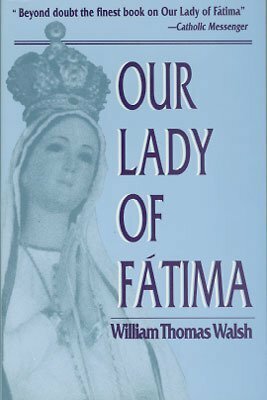 This was the conclusion reached by William Thomas Walsh, distinguished author, historian, and teacher, after he had thorougly investigated the miracle of Fatima. Here is the whole remarkable story of the appearance of the Blessed Virgin Mary to three simple children at an obscure Portuguese village in 1917. Her prophecies of World War II and the rise of communism, her plea to humanity to do penance, her promise that world peace and the conversion of Russia would take place if her messages were heeded -- these are some of the dramatic events in this fascinating account of a modern miracle. By William Thomas Walsh. New enlarged edition. Complete account of Our Lady’s apparitions at Fatima. 223 pages, 5.5" x 8.5". $11.00.